I'm back with a cute shoe pick that's easy on your wallet. As we quickly come into warmer weather in Shanghai, I have been walking around the city more and spending a lot more time standing. Although I love wearing high heels, it's impractical and unsafe to walk around so long in them so I needed a cute alternative. My first thought was to browse Taobao's endless array of shoes. 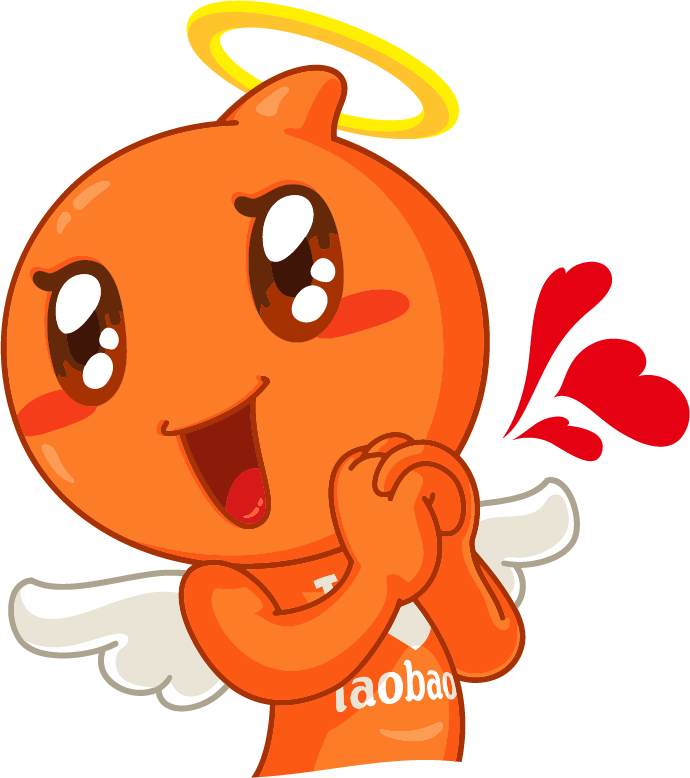 Taobao's mascot is kind of creepy. Hours and countless webpages later, I finally found what I was looking for. 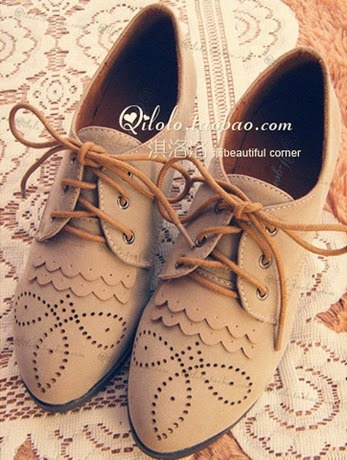 These shoes, from the Taobao store Qilolo really give off a airy, soft vibe that I like. The heel height is also perfect for walking and spending a lot of time on your feet. In fact, I wore these to work comfortably all day. Normally, when shoes are priced at 59RMB (+shipping) I'd be wary of quality, but after inspecting these shoes, they proved to be well made. The easiest way to check the quality is to look at the soles.I don't know how many times I've had shoes completely rip off the sole (this happens most frequently with wedge shoes and platforms). You want to see that the shoes will not be unglued which will leave you hobbling to the nearest cobbler if they do. These shoes prove to be quite sturdy. 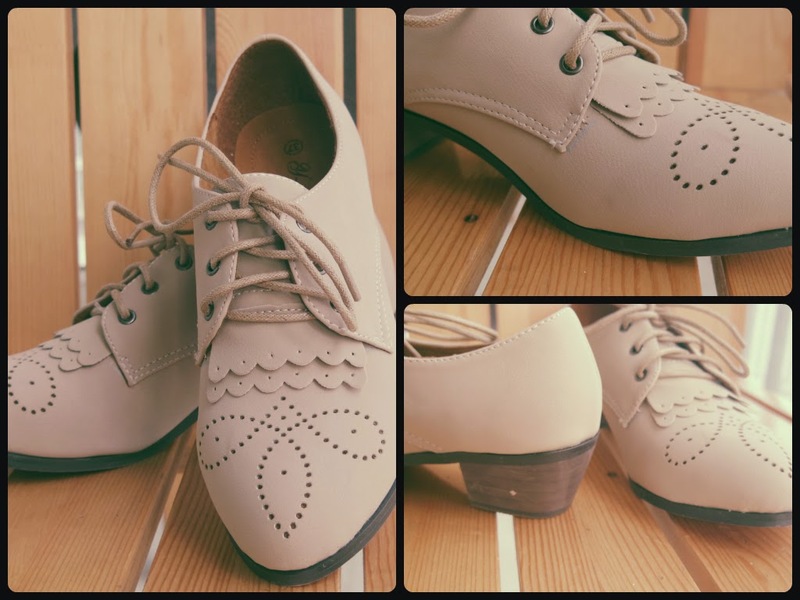 A final point to notice in the quality is the delicate scalloped design which adds to the illusion that these shoes could be worth more than 59RMB. 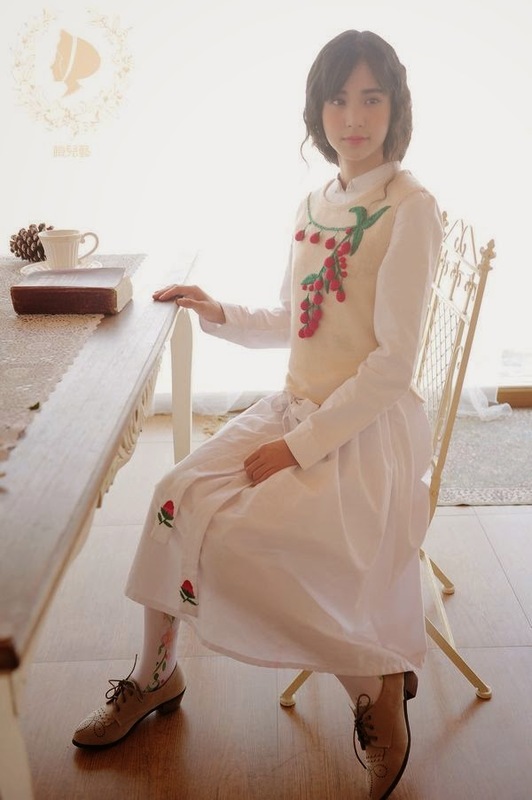 Qilolo's taobao page can be found here and the shoes are currently available on this page.